If you are looking for information on the Handyman Brigade franchise business opportunity, Handyman Brigade franchises or Handyman Brigade franchising, then you have come to the right place. Handyman Brigade answers the question "how can I find a reliable and trustworthy home repair service, that's available today"? For our potential Franchisees Handyman Brigade answers the question "how can I manage and promote a home repair business without doing the repairs myself"? Our systems and marketing programs have been developed to accommodate a rapid entry into today's expanding billion dollar home repair industry. Founded by the world's largest indoor air quality franchise, VacUVent, Handyman Brigade duplicates the same high standards and customer satisfaction levels that have been the foundations for its success. Most experts agree that there is little doubt that the billion dollar a year home maintenance industry will continue to grow, given the fact that homeowners today remain in their homes longer prior to resell, the maturing of the Baby Boomer generation and the sharp increase of the two income family. The Handyman Brigade Franchise System provides a superior opportunity for Franchisees to establish a well respected and highly sought after community oriented business that can provide excellent opportunities for growth and financial independence. 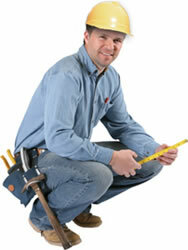 Our Franchise System does not require a background in Home Repairs. An abundant reservoir of skilled labor currently exists throughout all regions of the country. Our franchisees are trained to manage and motivate their pre-screened personnel and to promote the highest customer satisfaction standards in the industry. If you aspire to be your own boss and create a system-driven, top-notch service business, then you owe it to yourself to find out more about our franchise opportunities. We are convinced that with our system and your commitment to excellence, we can become America's first choice for Home Repairs. Just follow the proven system. It will work for you. Do the work today ... Get paid today.